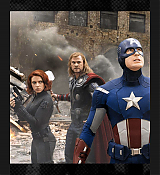 After the press conference Scarlett and the rest of the Avengers went back to doing the Press Junket for day 2, This time Scarlett was paired up with chris hemsworth but look’s like the original 6 did some interviews together as well, Again keep looking back for the interviews when they hit the web. 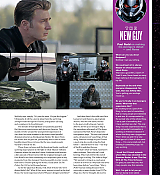 Posted on April 7, 2019 April 7, 2019 Written by AbbyComments Off on “Avengers: Endgame” LA Press Conference. 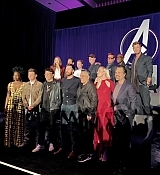 “Avengers: Endgame” LA Press Conference. 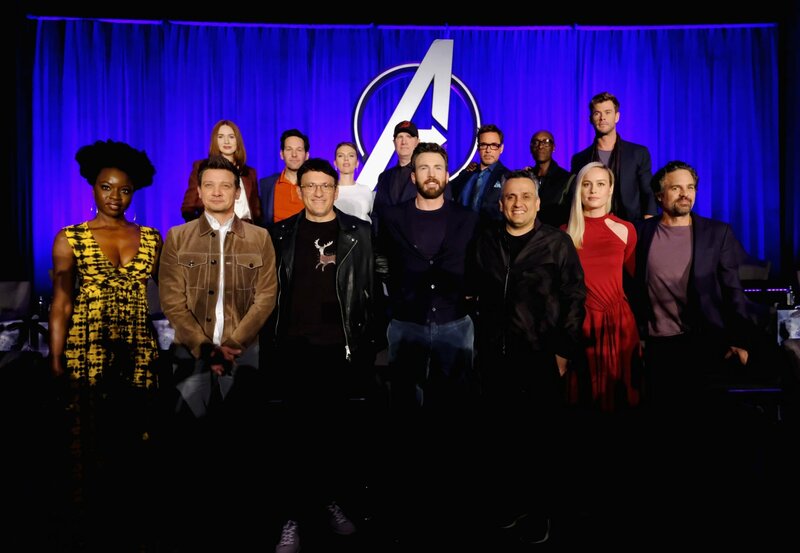 Day three of the Avengers: Endgame promotional work saw the big group Press Conference for LA with all the cast and main crew being there to talk about the movie and answer questions. At this time we only have photos from the fans who were there but official photos should be out some time soon official photos are now out. 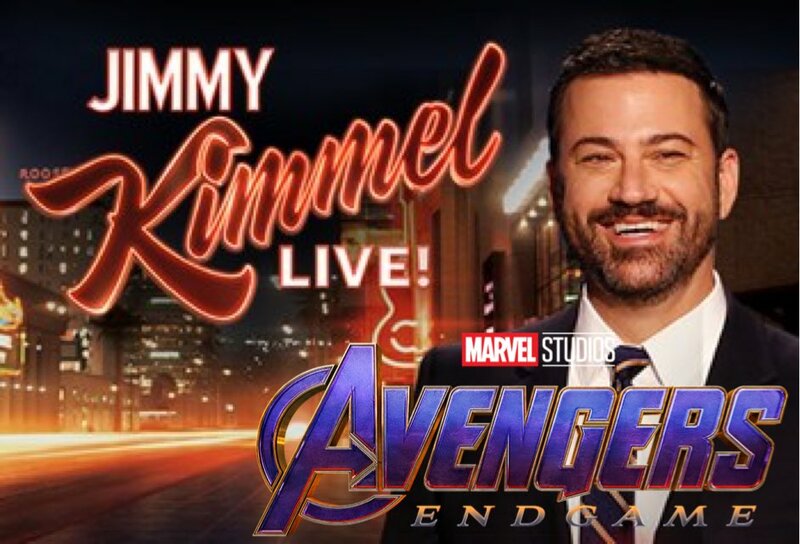 And please remember that Scarlett will be on Good Morning America and Jimmy Kimmel Live! tomorrow. 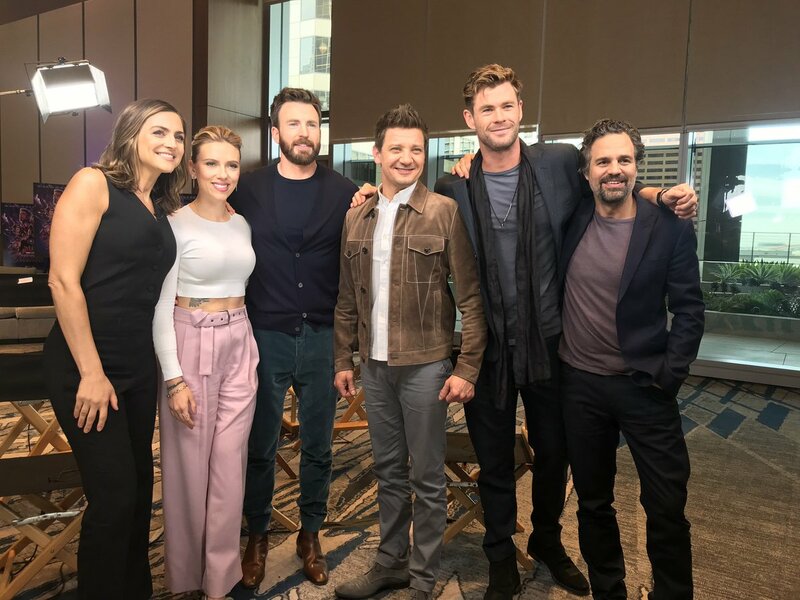 And the first of the Avengers: Endgame LA Press junket video interviews have hit the web and its from ET Canada. When doing the Press Junket yesterday Scarlett and Danai (and the rest of the cast) pose for a portrait, And I have got my hands on all 5 in HQ and added them to the gallery for you all. 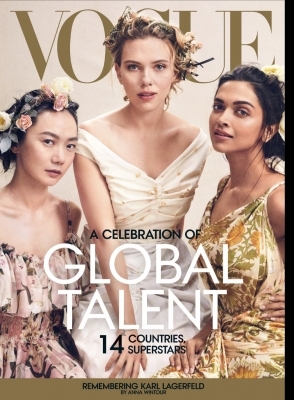 I hope more will come out within the next days. The following report highlights the programming of ABC’s “Good Morning America” during the week of April 8-12. “Good Morning America” is a two-hour, live program anchored by Robin Roberts, George Stephanopoulos, Michael Strahan; and Ginger Zee is the chief meteorologist. The morning news program airs MONDAY-FRIDAY (7:00-9:00 a.m. EDT) on The ABC Television Network. 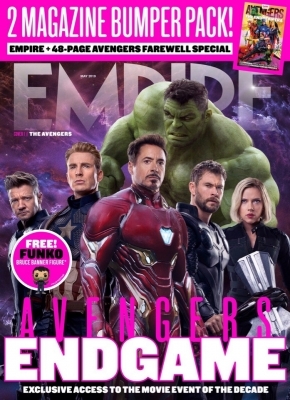 Day two of Avengers: Endgame promotional work for Scarlett saw her self and Danai Gurira together for a day of Press Junket interviews, games and other things like that. So far only two photos from the day are out but more should be coming very soon as well as interview videos so keep looking back for all that. 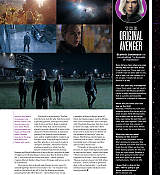 Posted on April 6, 2019 Written by AbbyComments Off on Avengers Give Back! 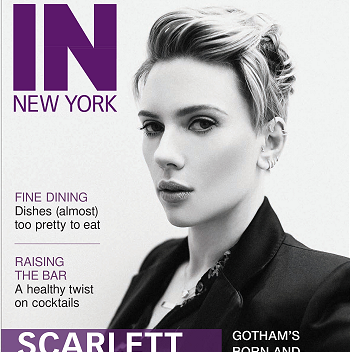 I have added into the gallery the digital scans from the last two magazines Scarlett has been in and . Go check them out!